Sometimes it is good to have pain in your body said Anibhuti. A chandigarh based mother of sector 36 B. Anibhuti has been feeling something abnormal with herself since childhood days because she can not feel fever. Her parents did not even bother. But, her husband did feel concern for her. That too when she could not feel essential things in their married life. He reached doctors of PGIMER Chandigarh, after she delivered a baby boy without feeling any Labour pain. It was a matter of concern for the couple. Anibhuti diagnosed with Congenital Insensitivity to Pain in neurology department of PGIMER Chandigarh last year. It is rare medical condition where patient cannot feel pain. Same as with this 8 year old kid Saman of sector 27. Saman can not feel pain after getting injury. Her mother who is teacher in Private school in Chandigarh, came to PGIMER Pediatric Centre for treatment in neurology department. Most of kids who have such rare Chromosomal Disorder, also tend to have autism or other brain related issues in their body. Watch this video for the reference. 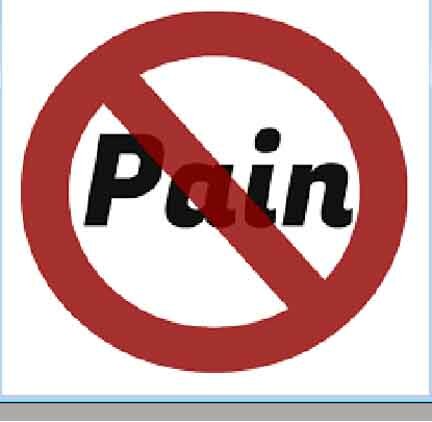 Congenital insensitivity to pain is a rare condition that inhibits perceiving ability of physical pain. Since it is Congenital i.e. from birth, affected individuals have no tendency to feel pain in any part of their body even if they got injured. These patients often got several injuries hence less chances to survive for longer period. These repeated injuries often lead to a reduced life expectancy in people with congenital insensitivity to pain. Congenital insensitivity to pain is form of peripheral neuropathy because it affects the peripheral nervous system. This system connects brain and spinal cord to muscles and to cells that detect sensations such as touch, smell, and pain. Mostly it affects sensor system of brain. EMG (Electromyogram), other neurological test done to diagnose and treat this condition. As per Dr Dheeraj Khurana, Professor Neurology, PGIMER, mostly pediatric department gets such patients. This is rare condition and it affects the nervous system. On the other hand Dr Arjun Arya, Neuropsychiatrist, Arya Hospital, Panchkula said that he has seen such patients with other morbidities like depression along with CIPA. One of his patient cannot feel pain after shaving injury. Mostly Neurologists treats this disease. neurologists.